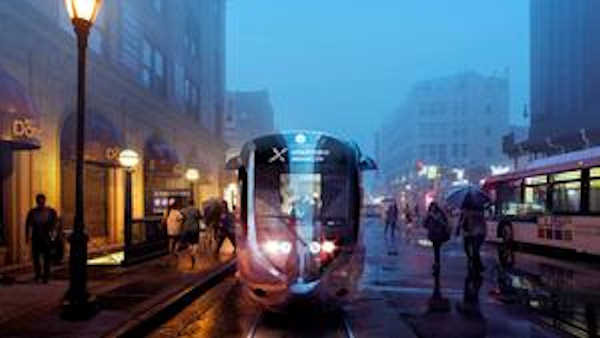 RED HOOK, Brooklyn (WABC) -- Commuters had the chance to offer their input Thursday night on the proposed Brooklyn-Queens streetcar service. The project, proposed by Mayor Bill de Blasio earlier this year, would run about 16 miles from Astoria to Sunset Park. A public comment meeting was held at 6 p.m. at the Red Hook Recreation Center. At a recent meeting in Queens, people complained the city didn't seem to be responding to negative comments made months ago. The city is asking for feedback from waterfront neighborhoods that would be impacted by construction on the planned rail linking Brooklyn and Queens. Meetings will be held in other neighborhoods over the next three months.